Are catfish limits too liberal at Arizona Lakes? Would you like to see more opportunity to catch Arizona’s native trout species? 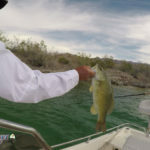 In order to best manage fish populations, simplify and streamline regulations, and incorporate public request, the Arizona Game and Fish Department is evaluating these fishing regulation changes. 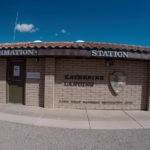 Pinetop Regional Game and Fish office, 2878 E. White Mountain Blvd., July 22, 6 p.m.
Tucson Regional Game and Fish office, 555 N. Greasewood Rd., July 23, 6 p.m.
Kingman Regional Game and Fish office, 5325 N. Stockton Hill Rd., July 23, 5 p.m.
Flagstaff Regional Game and Fish office, 3500 S. Lake Mary Rd., July 24, 6 p.m.
AZGFD Headquarters Office, Phoenix, 5000 W. Carefree Hwy, July 25, 6 p.m.
Tonto Basin Chamber of Commerce, State Route 188 and Rattlesnake Dr., July 28, 6 p.m.
Yuma Regional Game and Fish Office, 9140 E. 28th Street, July 29, 6-8 p.m. 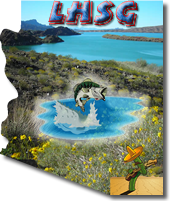 In addition, the public can also submit written comments for 30 days via email to fishregscomments@azgfd.gov or by mail to: Arizona Game and Fish Department, Fisheries Branch, c/o Andy Clark, 5000 W. Carefree Highway, Phoenix, AZ 85086. 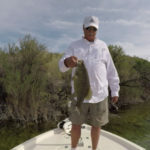 The changes are scheduled to be presented to the Arizona Game and Fish Commission at its meeting scheduled for Sept. 5-6. The public is welcome to attend and address the Commission on these proposals. Reduce the statewide bag limit for all species of catfish to 10, in the aggregate. Designate all public waters as Community Fishing Program waters within the municipal boundaries of the cities of Phoenix, Maricopa, Avondale, Scottsdale, Gilbert, San Tan Valley, Cave Creek, El Mirage, Sun City, Sun City West, Beardsley, Goodyear, Buckeye, Chandler, Youngstown, Peoria, Glendale, Surprise, Payson, Tucson, Sahuarita, Yuma, Somerton, Tempe, Litchfield Park, and Fountain Hills, except the portions of the Verde River, Salt River, Gila River and Lake Pleasant. 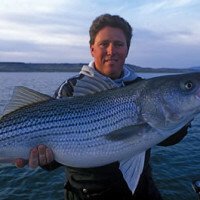 Designate Water Ranch Lake to a single barbless hook requirement for all species and place catch and release regulations on bass and sunfish. Change regulations for Horton Creek, and Grant Creek to single barbless hook, artificial fly and lure only and catch and release only for trout. Reduce daily bag limits of trout on Chevelon Creek above and below Chevelon Lake as artificial fly and lure only, with reduced bag limits. 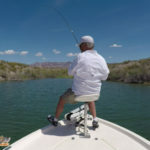 Modify regulations to a limit of six trout, four catfish and two bass (13-inch minimum length) within the Williams area lakes: Kaibab, Cataract, Dogtown, City, and Santa Fe Reservoirs. 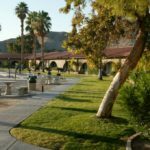 Reduce the bag limit to 25 sunfish and crappie, any combination, in the lower Colorado River, including Lake Havasu and Mittry Lake. 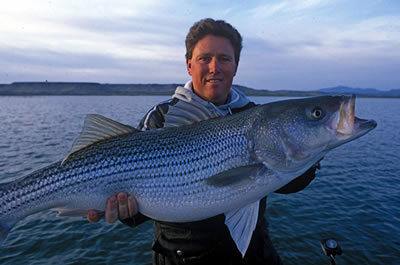 Maintain the current catch-and-release regulation for largemouth bass in Dankworth Pond and Pena Blanca Lake until Dec. 31, 2016. Open catch and release seasons for Gila trout in Frye Creek and Apache trout in Upper East Fork-Little Colorado River, single barbless hook, artificial fly and lure only. Allow goldfish to be used as live bait when collected and used onsite only in specific waters. View the full details of the rationale behind each regulation.